Send A Message To Devorah. Devorah has a Master’s degree in Counselling Psychology and is a member of the BC Association of Clinical Counsellors. 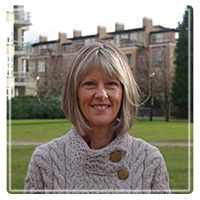 She has been a therapist and workshop facilitator in private practice for over twenty years and an instructor and trainer of counsellors for over ten years. Devorah views counselling as more than just problem solving in that it also supports your discovery of forgotten or unknown strengths, talents, and other resources. It can assist you in accepting and even appreciating aspects of yourself that you have previously viewed as problematic or unacceptable. You learn to trust yourself and life so that instead of anxiously trying to maintain control, you can be fully in life, appreciating each moment and experiencing greater joy and wonder. Besides her years in the therapy field, Devorah has a background in the arts and one of her specializations is creative process. She has worked with many writers, artists, and other individuals who are wishing to develop their creativity and receive support for the challenges of living a more creative life. She also has training in Interfaith Spiritual Guidance and supports those with questions of purpose and meaning, which she finds often surface, especially for those at mid-life. Therapy essentially means “to attend” and Devorah listens closely and carefully. She trusts that there is a part of you that is wise and knows what you need. She sees her job as helping you access this wisdom and strength. She supports you to draw on your own resources and be more empowered so that you can both discover and create the life that is uniquely yours.